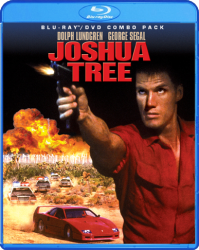 The Drive-In Cult Classic comes to high definition! Louisiana, 1954: Brothers Chris & Wayne Dixon (Alan Vint and Jesse Vint) are joyriding through the South before enlisting in the Army. 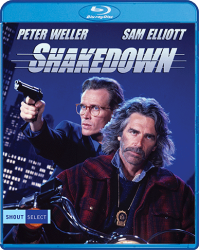 When the wife of a local Sheriff is brutally killed by a pair of psychotic drifters, Chris and Wayne are mistaken for the murderers. 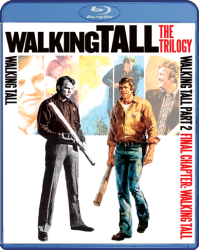 Far from home, on the run and out of time, they find themselves hunted by the crazed lawman in a tragedy of rage and revenge that explodes in a shocking climax ... once they cross the Macon County Line. Best known for playing goofy Jethro Bodine on The Beverly Hillbillies, Max Baer forever changed his image by producing, co-writing and co-starring in this powerful movie. 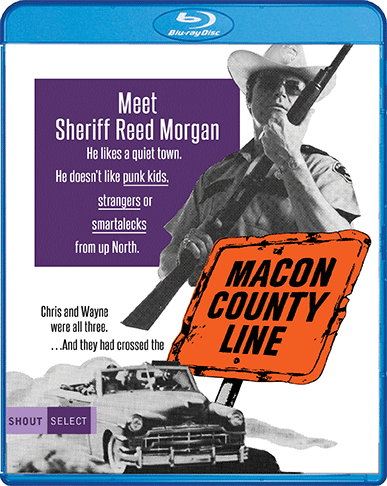 With a strong supporting cast that includes Joan Blackman, Geoffrey Lewis, Cheryl Waters, James Gammon, Doodles Weaver and Leif Garrett, Macon County Line became the hit of 1974 as well as one of the most acclaimed drive-in classics of all time. 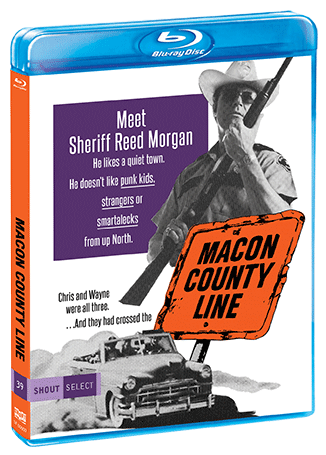 Vintage Featurette – "Macon County Line: 25 Years Down The Road"